With SATTRANS Leather Holster you can conveniently carry your Thuraya Hughes phone on the belt enjoying better comfort and freedom. This product, designed for Hughes handsets, is sturdier than a leather case. 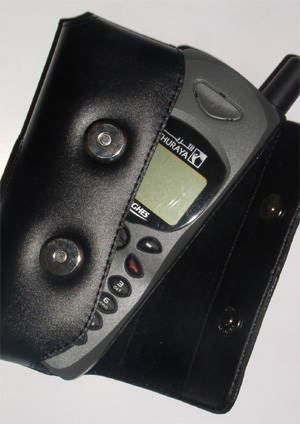 The holster is available in two options: vertical and horizontal attachment to the belt.